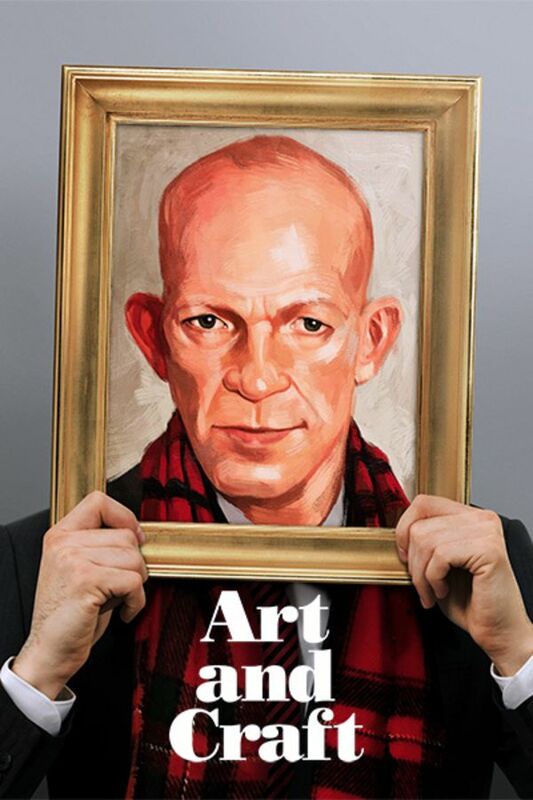 Mark Landis has been called one of the most prolific art forgers in US history. His impressive body of work spans thirty years, covering a wide range of painting styles and periods that includes 15th Century Icons, Picasso, and even Walt Disney. And while the copies could fetch impressive sums on the open market, Landis isn't in it for money. Posing as a philanthropic donor, a grieving executor of a family member’s will, and most recently as a Jesuit priest, Landis has given away hundreds of works over the years to a staggering list of institutions across the United States. But after duping Matthew Leininger, a tenacious registrar who ultimately discovers the decades-long ruse and sets out to expose his philanthropic escapades to the art world, Landis must confront his own legacy and a chorus of museum professionals clamoring for him to stop. ART AND CRAFT starts out as a cat-and-mouse art caper, rooted in questions of authorship and authenticity – but what emerges is an intimate story of obsession and the universal need for community, appreciation, and purpose. A beautiful movie that forces us to re-evaluate our own morals, our own conception of good versus unlawful, and the rigid definitions of mental health. The pacing of the movie (from a formal standpoint) is well-matched to the person of Mark Landis. There are worse ways to deal with mental illness, loss and loneliness than forging art for gods sake. This poor man is not trying to hurt anyone. He's just trying to make his way through his life by using the beautiful gift he was given in the only way he knew how. How about some empathy, you silly art snobs?? Like you people are perfect or something.. let's see your halos before you judge ANYONE. If I had to chose.. I'd rather hang out with him than you self righteous bores. Go busy yourselves by telling each other how fabulous you are. Also I wanted to add that the music at the end is fabulous and I would love to buy it. Brigettesupernova, I agree. He will never stop and I don't think he can. We need to forgive that. His forgeries when put together display and incredible array of stylistic mimickery in drawing and painting. But his true art is himself as a performance piece. The Art World places value in uniqueness and innovation, that they are not but they are authentic to his ability to feel and sense what the artist is conveying. Otherwise I don't think he could do it. His act of painting is like a ouija board where he is conjuring up the artist to keep himself company. I almost abandoned this documentary due to its slow pace in the beginning. But as the complexities of the forger's life are revealed, we witness a rich, fascinating, and sometimes sad story that draws us into his world. One might go into this movie with bias against this man of deception, but opinions may change when his reasons and motives are revealed. Furthermore, I found myself with a deepened disdain for the "art world" elites who have no sympathy for his circumstances or mental state. Asking his to simply stop is to ignore the only thing is life that brings a mentally ill human joy and purpose. They themselves do not see value is his unique talent, only see the "value" they've lost in accepting art that was given to them freely (and they failed to perform due diligence to verfiy authenticity). By the end of this movie, I am asking myself who really is the "crazy" one: a savant who can mimic most any artist or the art world snobs who place value on the rarity of brushstrokes and famous signatures?